Request a copy of SIRVA’s Annual Mobility Report by completing the form below! OAKBROOK TERRACE, Ill.—(October 5, 2017) — SIRVA Inc., a leading provider of global mobility services delivering integrated relocation and moving solutions for multi-national corporations, governments and consumers, released its annual mobility report, which focuses on the challenges and opportunities associated with the increasing need and prevalence to align organizational growth and talent strategy with mobility. SIRVA’s report, “Talent Mobility for Business Growth – Aligning Practices to Drive Organizational Impact,” details key areas of program misalignment that limit mobility effectiveness in facilitating organizational growth and talent objectives. The report offers insights and observations on topics such as resource requirements, technology enhancements and mobility industry disruptors, and spotlights delivery models rather than policy as a way to support the priorities of both the organization and the relocating employee. The evolution of talent mobility as a strategic enabler of organizational growth initiatives has created a demand to design and administer a mobility program that addresses critical focus areas of the organization through policy support and service delivery model. 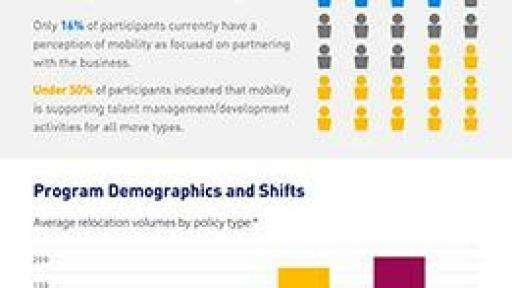 The report provides data and insights on mobility program administration based on 143 participants representing 134 unique organizations from around the globe in a wide range of industries. SIRVA has a portfolio of well-known and recognizable brands including Allied, northAmerican, SMARTBOX and Allied Pickfords. For more information please visit www.sirva.com.